Virginia Gov. 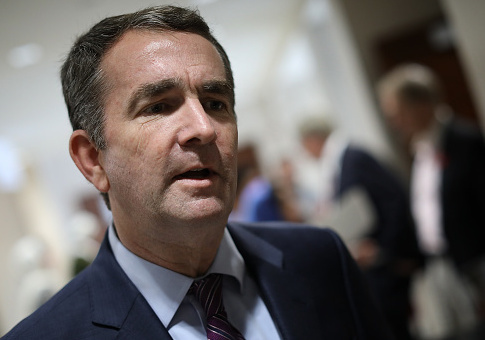 Ralph Northam said Monday that "The Walking Dead" will film the debut of its upcoming offshoot series in Virginia and that the film will be eligible for a tax subsidy. The AMC original show can earn this tax subsidy through a Virginia film tax credit. The total amount of the subsidy will be determined based on how many Virginians are hired, how many local goods and services are used and deliverables, which includes tourism promotion. "We are delighted to welcome AMC back to Virginia," Northam said in a news release. "The series will provide high-paying jobs for our skilled workers and will invite economic opportunity for Virginia businesses large and small. Uniquely, the series also brings with it a devoted global fan-base, creating immeasurable added value for the Commonwealth as the franchise’s powerful spotlight shines on Virginia." According to the news release, tourists spent $25 billion in Virginia, which supported nearly a quarter-million jobs and brought the state $1.73 billion in tax revenue. "We’re thrilled that the Dead will keep walking into a new corner of the post-apocalyptic world, a corner that will present stories and characters unlike any that The Walking Dead has dramatized thus far, and that is bound to excite one of the most passionate fan bases in television," David Madden, the president of programming for AMC Networks and AMC Studios, said in a news release. Critics of tax subsidies say they amount to government picking winners and losers and argue that states with overall pro-jobs tax structures shouldn't need subsidies. The filming of 10 episodes in Virginia will begin this summer and the AMC debut will air in 2020. "The Walking Dead" first aired nine seasons on AMC beginning in 2010, with 131 episodes. The franchise has also two spinoffs: "Fear of the Walking Dead" and "The Talking Dead."